I don't know if you share my impression, but the truly memorable event of 2013 (*) was, mainly, a non-event: the non-attack to Syria. Everything seemed to be ready and set for a repetition of the same old script: there is this ugly dictator, he gassed his own people, we need humanitarian bombs, etc. In early September, after the usual consensus building campaign, everything was ready to start bombing. Then, strangely, everything quieted down and nobody knows exactly why. This story reminds me of when Attila's invasion of Italy was stopped after a meeting with pope Leo I, in 450 AD. Also in that case, nobody knows exactly why. 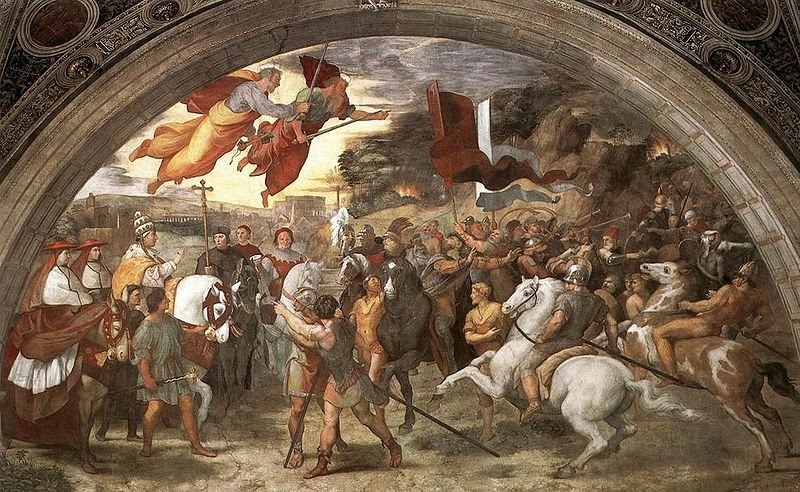 The interpretation of Raphael (above) is that Attila was scared by a vision of Saints Peter and Paul armed with swords. Who knows what made President Obama change his mind? We could say that a year of non-events, at least, is a quiet year and that should be good. But don't forget that big events are the result of the accumulation of small events, often perceived as non-events. And there is no doubt that a lot of these small events are accumulating. Depletion, erosion, ocean acidification, global warming, ecosystem disruption and so on. All these events are occurring even though we may perceive them as non-events. 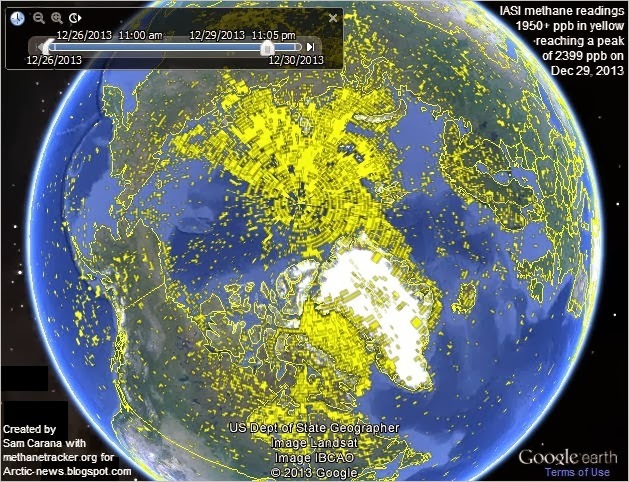 One of them is the melting of Arctic ice and the consequent release of methane. That's something that Sam Carana has correctly termed "the biggest story of 2013". 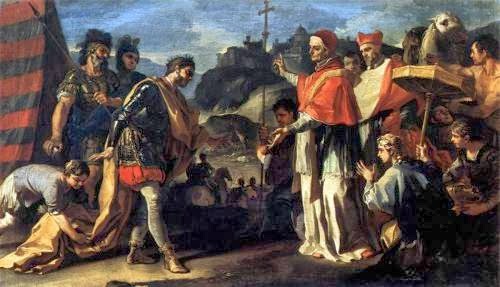 If the Arctic methane will released in truly large amounts; then I am afraid it will be such a catastrophe that not even the Pope (and perhaps not even St. Peter and St. Paul with their swords) would be able to stop it. The world never stands still for a long time. Speaking of "peak demand" about the present stasis in the world oil production is a little like the concept of "the sound of a single hand clapping" is an old Zen "koan." 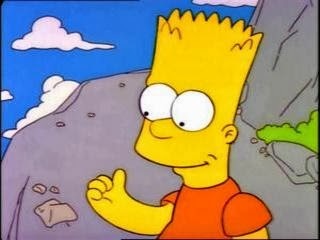 This riddle has been solved by Bart Simpson in recent times. The concept of "peak demand" is gaining popularity in the discussion about peak oil. It is a good example of how a discussion can get lost in a no-man's land of unsupported ideas and concepts. Peak demand, in a certain way, is a rebuttal of the idea that we have limits to what we can do on this limited planet. So, the implication is that the present lack of growth in world oil production (which is a prelude to the peak) and the reduction of consumption in OECD countries has nothing to do with physical limits: it is a choice we made. We decided to consume less oil because we are smart enough to have found ways to use less of it. So, you see? We are still in charge; we are still the masters of the planet. It is a concept that, unfortunately, flies in the face of everything that's happening around us. Maybe people have been buying more efficient cars, but it also true that they are driving less miles per year. Simply, they can't afford to drive as much as they used to and that hardly looks like a choice. But, then, what is exactly meant as "peak demand"? Economists talk about demand and supply, and then state that demand must always be equal to supply. Which is fine as long as you see supply and demand as qualitative terms that help you conceptualize a market situation. You could say, "if coffee were to cost 20 dollars per cup, I would drink much less of it". Obvious. But the curious thing is that neither supply nor demand are measurable alone except in some rather special cases. They are two faces of the same coin: speaking of "peak demand" is a little like asking what's the sound of a single hand (OK; I know that Bart Simpson has solved that one, but let's not go into that....). It is the same with "peak supply" that is a typical straw man for cornucopians who still tend to accuse peakers of saying that we will be soon "running out of oil". We will not. Supply is determined by several factors: demand (what people are willing to spend for oil) combines with supply (how much money companies are willing to invest in extracting oil) to generate one measurable parameter, which is production. We can equate production with demand, and that's fine. 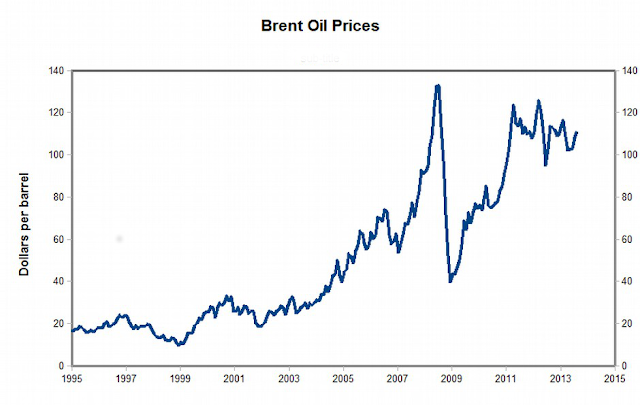 But peak oil is neither peak demand nor peak supply. It is peak production. In the end, it is fine to argue about peak demand. But at some point we'll have to stop arguing and think solutions. Imagine that a friend of yours invites you to his marriage. You go there and you see everything you expect to see: the church, the flowers, the priest, the groom, and so on. But, as the ceremony goes on, you notice that your friend has overlooked something important: the bride is missing. With the book by Toby Tyrrel, "On Gaia", you get a similar impression. It is well done in many respects and plenty of details are at the right place: evolution, life, climate, and more. But, as you keep reading it, you notice that the author seems to have overlooked something important: Gaia herself is missing. It is said that marriages fail because of excessive expectations of spouses. The same problem seems to be plaguing more than one study on Gaia, including this one. Some people seem to expect really too much from the poor lady and then they end up concluding that she doesn't even exist - as Tyrrell does with this book. His conclusion is wholly negative: there is no such think as a stabilizing feedback system called Gaia and the fact that the Earth has maintained conditions favorable to life for some four billion years is due mainly to "hazard and happenstance" (p 206 of the book). The problem of excessive expectations appeared early in the history of studies of the stability of the Earth's ecosystem. James Lovelock, the originator of the idea of Gaia (together with Lynn Margulis), proposed that Gaia could "optimize" the ecosystem for the benefit of life. That was too much. The Earth's ecosystem is a complex system of interacting biological and geophysical loops - some tend to stabilize the system, some to destabilize it. The final result is the typical one of all complex system: the tendency of the system to oppose perturbations. That's not the same as optimization - it is homeostasis; something that tends to maintain the system's parameters within certain limits - not necessarily the optimal ones but, at least, in a range that maintains the cycles going. There are many examples of this behavior; for instance your body is a complex system and it does exactly that: it seeks homeostasis. If the temperature of your body becomes too high, your internal thermostat will bring it down by sweating. But you can't expect the thermostat to be perfect and all powerful: if you fall into a vat of boiling oil, sweating won't help you much. The same is true for Gaia, which is - mainly - a planetary thermostat that tends to keep the planetary temperature within the limits needed for liquid water (and hence life) to exist. You don't have to expect the thermostat to be perfect and all powerful and, indeed, the Earth's history has seen all sorts of catastrophes occurring; when the planet became very hot or very cold, nearly destroying all life on it. But the system has always recovered and has countered all sorts of perturbations. That includes the gradually increasing solar irradiation over the eons that should have had a deleterious effect on life on Earth, had it not been balanced by a decrease in the concentration of greenhouse gases in the atmosphere. Curiously, however, Tyrrell just can't see the thermostat in action. One reason is that it is very difficult to understand the Earth's feedback system without taking into account geology and, here, the author clearly has troubles in integrating geology in the discussion. Geology, indeed, is the true "missing bride" of the book. Not that geological phenomena are not mentioned in Tyrrell's book, but often in a cursory and insufficient manner. For instance, there is no real discussion of the cycles of the Earth's ecosystem which involve continuous exchanges of matter from the surface to the mantle and back. These cycles renew the atmospheric composition and provide the chemical elements necessary for life. Without a hot core that provides energy for these exchanges, the Earth couldn't be a live planet - it would be dead like Mars. The problem appears in particular for the main mechanism of the Earth's thermostat: silicate weathering. It is part of the planet-wide carbon cycle, a chemical reaction that removes carbon dioxide from the atmosphere. Its rate depends on temperature, so it has temperature regulating capabilities. (see this post of mine for an introduction and ref. (1) for an in-depth discussion). Tyrrell mentions silicate weathering for the first time only at page 141, quickly arriving to the conclusion that it is only a negative factor for life because of its cooling effect (2)). You need to arrive almost to the end of the main text (p. 191-192) to find a brief discussion of whether silicate weathering can be part of a temperature stabilizing mechanism. Here, too, Tyrrell's conclusion is negative, apparently on no other basis than generic skepticism. Now, of course one may disagree on all current scientific interpretations, but considering that silicate weathering is a core element of the whole thermostat question, it would surely deserve more discussion before arriving to dismiss Gaia as non existent. This is not the only problem related to geology in the book. Other factors, for instance the effect of the sun's increasing luminosity, are missing or barely mentioned. So, it is really disappointing that the book misses so badly its avowed target - Gaia - especially considering that there are several sections of it that are well done and worth reading, such as the discussion about the temperature effects on biological productivity. In the end, I think that there is a basic problem in Tyrrell's approach. In the "Conclusions" section, he states that accepting or rejecting the Gaia hypothesis has a strong effect on "how we decide to manage the Earth System" and that "Gaia, by the very nature of the hypothesis, inculcates a predisposition to suspect natural feedbacks to be stabilizing." 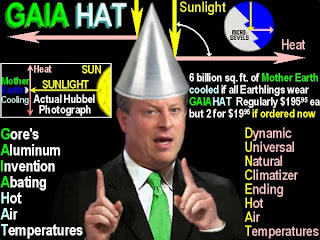 In other words, Tyrrell emphasizes that Gaia could generate a dangerous feeling of complacency on people and hamper their efforts of fighting climate change. So, I think the least thing we should be worried about is that the concept of Gaia could engender a dangerous "lasseiz faire" attitude. On the contrary, understanding the factors that determine the Earth's temperature can only generate a healthy dose of respect for the delicate balance that has kept climate stable during the past ten thousand years or so. Homeostasis is no guarantee of absolute stability; that holds for an entire planet, just as it does for bicycles (and the latter is something that everyone understands). 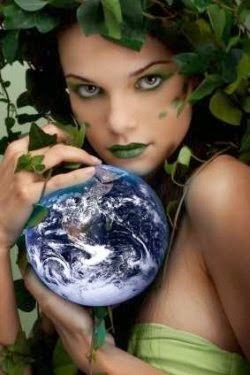 In the end, Gaia is not a Goddess, (and surely not a benevolent one). She is not all powerful, she has no ability of optimizing the Earth's environment for life, and she is no guarantee whatsoever that we can keep behaving as planetary hooligans without suffering the consequences of our actions. Gaia is a huge and complex system; a gigantic tangle of geological and biological feedbacks. We are just starting to understand how this system generates its overall tendency to homeostasis and how it has evolved over the billion years of its existence (3). It will continue to evolve until, hundreds of millions of years from now, it will "die" when the Sun becomes too hot for the homeostatic mechanisms to continue operating. In the meantime, we have to keep living on this planet (if we can). Gaia may not be the perfect bride; but we can't keep behaving as if she didn't exist. 3. For a thorough description of the feedbacks cycles of the Earth's system, you'll do well in reading the book by Tim Lenton and Andrew Watson "Revolutions that Made the Earth". Beware: it is not an easy book to read, but it is surely worth the effort. "The Great Chemical Reaction: life and death of Gaia"
"The Next ten billion years"
The great suffocation - will we have enough oxygen to breathe? The oxygen concentration in the atmosphere as recorded at the Mauna Loa observatory (link). It is going down and the obvious explanation is that it is the result of our burning of fossil fuels. But do we risk to suffocate ourselves in this way? Fortunately, that's very unlikely, at least in the short run. However, looking at the "other side" of the carbon dioxide emission story gives us a good perspective of what's going on with the ecosystem as the result of human activities. Fortunately, the answer is "no." We don't risk to run out of oxygen; at least in the short run. But the story is not simple and we can learn a lot about what's happening to our atmosphere, our climate, and our ecosystem if we look at the question in some detail. First of all, what do we mean as "suffocation"? The present concentration of oxygen in the atmosphere is 21% in volume. We have evolved to live with this level of oxygen and the minimum level for humans to function normally is around 19% (See here). We are already in trouble below 17% and simply can't survive below 10%. So, we have to be careful with what we do with our atmosphere; we can't afford to lose more than about 10% of the oxygen we have, or about 1%-2% in volume present in the atmosphere. But we need to go more in depth in the matter. Consider that we have been burning fossil fuels for a long time before 1990. We can roughly calculate the total loss considering that the concentration of carbon dioxide in the atmosphere has increased of about 120 parts per million in volume over the past century. A similar amount has been absorbed in the oceans, so we can say that we have produced the equivalent of ca. 250 ppm of CO2 and hence some 250 parts per million of oxygen (0.025% of the total volume of the atmosphere) must have gone in more than a century. But we are still well within the safety limits. How about the future? The Keeling results tell us that, at the present rates, we consume about 0.02% of our oxygen every ten years. 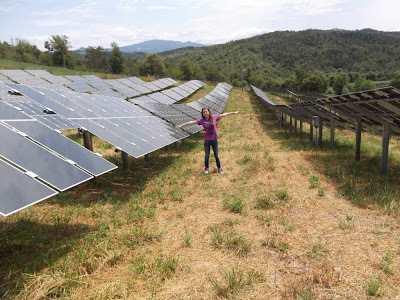 To arrive to lose the 1% which represents the safety threshold we would need centuries but, of course, we will not be able to keep burning fossil fuels at the present rates for such a long time. As we roll on the other side of the Hubbert curve, we won't probably be able to do more than double the amount already emitted (and perhaps much less, according to the Seneca scenario that sees decline much faster than growth). Even in the most extreme assumptions we could emit no more than some four times the amount produced so far. That would correspond to a loss of about 0.2% of the total oxygen available. Not negligible but, as far as we know, not harmful for humans. So, burning fossil fuels would definitely not suffocate us; not directly, at least. But there are indirect effects. One is the loss of biomass caused by human activities. When plants and animals die, the carbon they contain is normally oxidized to carbon dioxide, consuming oxygen in the process. The total amount of carbon stocked in living creatures and soil is estimated as about 2100 billion tons (Gtons). If all this carbon were to react with oxygen, it would consume some 5600 Gtons of oxygen (taking into account that an atom of oxygen weighs more than an atom of carbon and that one atom of carbon consumes two atoms of oxygen). The total mass of oxygen in the atmosphere is calculated as of the order of 1.2x10^9 Gtons (see also this reference). So, even the total burning of the planetary ecosphere would make only a small dent in the total oxygen concentration; about 0.4% loss. And that, of course, is an extreme hypothesis that would see the whole biosphere destroyed - in this case, suffocation would be the least important problem. We could consider also the release of the methane hydrates stored in permafrost; something that could happen as a result of global warming. Methane is a strong greenhouse gas, and so the process reinforces itself, that's the origin of the so called "methane catastrophe" that would result in a disastrous greenhouse runaway effect. The total mass of methane stored in permafrost is estimated as of the order of 500-2500 gtons of carbon. In the worst case, methane could consume another ca. 0.4% of the atmospheric oxygen. Summing up everything we have considered so far, methane, organic matter, fossil fuels, we see that we don't go over the 1% threshold, even making rather extreme hypotheses. So, we would seem to be on the safe side. However, we should also take into account that by far the largest stock of organic (and hence burnable) carbon in the Earth's crust is in the form of "kerogen", the result of the partial decomposition of organic matter. (Figure below from Manicore.com). 10^16 tons of kerogen is such a large value that if all of it were to combine with oxygen (about 10^9 tons), then there won't be any oxygen left in the atmosphere. That would be, indeed, the "great suffocation". Fortunately, that is unlikely to happen. Kerogen can react with oxygen and it is, actually, the original source of the petroleum we extract and burn today. But the natural process is very slow and the human-made one very expensive. With the best of good will, Kerogen is a very bad fuel. So, human beings won't be able, ever, to burn more than a microscopic fraction of the kerogen of the earth's crust. Note that a peak in the oxygen concentration was reached in the remote past, perhaps in correspondence with the peak in planetary biological productivity. At the peak, oxygen concentration may have reached a value of over 30% in volume - humans could not have survived in those conditions! Then, it may have gone down to about 15% and, again, we wouldn't have been able to survive with that concentration. So, oxygen is not simply accumulating in the atmosphere to remain there forever. It is a reactive gas and its concentration is linked to the evolution of the ecosystem. There are factors that can strongly change its concentration, probably involving reaction with the kerogen stock. We can't know for sure what factors cause this reaction but a new dip in oxygen concentration as the result of the ongoing planetary changes cannot be excluded - even though that would probably be extremely slow by human standards. What we can be sure about is that we should be careful in the way we treat the Earth's ecosystem - we are part of it! What can be a future strategic approach to handle resource scarcity in our economic policies? What are the perspectives of a growth driven economic systems and future options for our society? The book provides many aspects to discuss at this event. Ugo Bardi is professor for physical chemistry at the department of Earth Sciences of the University of Florence, in Italy. He is the author of several books and articles dedicated to mineral resources, with special attention to the systemic effects of resource depletion and climate change . The German language version of “Plundering the Planet” (“Der Geplunderte Planet”) has been published by Oekom in 2013. 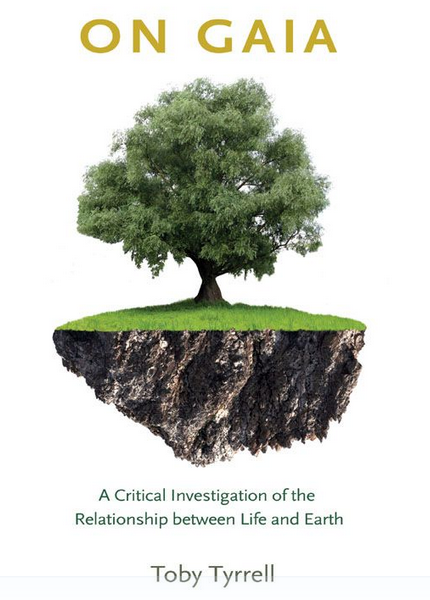 In the 33rd Report to the Club of Rome, Ugo Bardi has taken a detailed look at the status quo of the world´s resources. Based on a historic background he provides a detailed analysis of the present and the future of mining and resource exploitation. The era of cheap resources will be over soon. 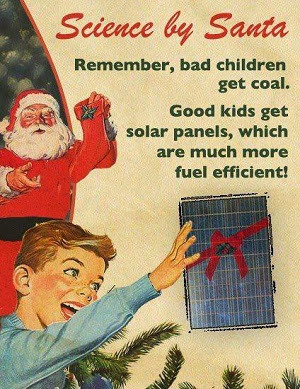 Their exploitation will not only be more costly and more energy consuming, it will also produce more waste and have a higher environmental impact. Cheap resources are a basis of a growth driven economic system. It is a misinterpretation of “Limits to Growth” more than 40 years ago that minerals and resources are running out. Resources are not running out in the near future but nevertheless availability is a key problem. The book presentation and discussion is part of the “Growth in Transition” series. The event will be held in English language. The folks at the "Doomstead Diner" have been very active in various fields related to a a vision they have of the future that - as you may understand from the name of the blog - is not so rosy. 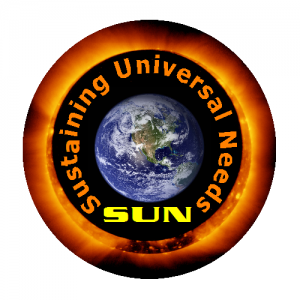 Now, they have started a new project called "Here Comes the Sun", where the initials stand for "Sustaining Universal Needs". "At a certain point in this timeline, not sure precisely when, I realized that simply writing about what was occurring was not sufficient, something more active and constructive was necessary." "The greatest problems faced are in terms of Food & Water Security. Access to these most basic needs for life is essential, and in a failure of our larger system of Just In Time delivery and the monetary system that serves to distribute these products, it is necessary to build your own resilient local system to replace that. Here on SUN, we seek to find and develop the best means for doing that with the lowest energy inputs possible and least damage to the surrounding environment possible. 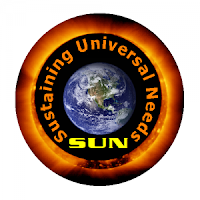 This is ongoing work for SUN members at all levels. In the end, the goal is to disseminate the knowledge, to teach more people to be self sufficient while at the same time securing our own needs in this world." One of modern history’s greatest figures has just died. I tried to understand in a simplified -and by necessity highly reduced and summary manner- (for myself) what was at the root of his greatness and success and so I thought I also would share my views and opinions with others on this blog. Mandela arose at a particular historical moment in a particular place. That is, just like everyone else was born and begins and then develops or “implements” his/her life at a particular time, in a particular place and in a particular context. He came into and confronted an extremely unjust and also deeply entrenched societal situation and context -with significant historical roots- also supported explicitly or tacitly by a large number of the world’s great powers: Apartheid and the (criminal) apartheid regime. At first he thought the best approach to overthrow the regime and establish a more fair and just form of government and a more just and equitable society in South Africa would be through the ideas and methods of Gandhi. While not abandoning the ideas and practices of Gandhi after some time he realized that organization, discipline and armed struggle also would be necessary. Many things happened and he then ended up in prison for 27 years. He never lost hope and provided an ongoing example to his fellow political prisoners- inmates. Even his prison guards held him in high respect. Eventually the more intelligent parts of the apartheid regime realized that it was in their own interest to release Mandela and establish a democracy in South Africa with both blacks and whites being able to vote and participate. The alternative would most likely have been (sooner or later) a bloodbath and the collapse of the regime. The international legitimacy of the regime also was increasingly lower and falling further. But how to unite the country and the many different kinds of people -not only blacks and whites and those of other or mixed races but also the many tribal and other ethnic divisions that exist- and the various economic and political interests living there, after so much injustice and brutality and oppression had taken place -i.e. had been committed- for so many years and decades? What is the logic of the so called “truth, justice and reconciliation” commissions -and of their desired outcomes- that Mandela created, established and supported? To understand this we need to work backwards. If one desires good societal outcomes (political, economic, social, cultural and institutional) and a better future in which the people are also far more united one needs some kind of reconciliation process leading to greater unity. To achieve reconciliation there must be some kind of JUSTICE. And one cannot have justice without first knowing and exposing and clearly stating what the TRUTH was, had been, and is now, and why. Meaning here the truth -regarding both facts and processes in both general and specific terms- also about all the various forms of oppression, brutality, injustices and crimes committed. Justice does not have to mean punishment in all cases nor does it mean retribution or vengeance, but it can mean some forms of compensation or at least a public admission of guilt. And reconciliation does not just mean to “forgive and forget”. So getting the above formula and the balance of its components right was (and remains) very important. 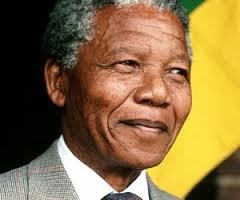 But what is most important -something which Mandela realized- is the future, not the past. Though there cannot be a good future if a society has not fully come to terms with its past, and in the present. Mandela understood this very clearly and not only understood it, but also invented a practical method to achieve it. Mandela mobilized and deployed various personal characteristics -which he continually further developed and improved over time-, over the many years of his struggle in various situations and roles. 2) A long-term and medium-term vision that things could and would change but that this would not happen overnight and would require (collectively) staying the course for very many years. 3) A flexible and practical strategy or a set of complementary and variable strategies over time to accomplish the vision. 4) An ability to read the historical moment correctly and “seize it” and implement appropriate tactics to achieve his and the collective strategies. 5) An ability to recognize and admit to one’s own mistakes and correct them in an ongoing fashion. 6) An ability to articulate his thoughts and visions both to his fellow ANC members as well as to the wider South African public and masses –and also his opponents- and an ability to convince them and bring various groups onboard while at the same time always listening to others and their own views. 7) A strong sense of pragmatism and the ability to compromise where and when necessary without losing sight of his goals or the basic principles involved. A willingness and readiness to work with one’s enemies in partnership to achieve a better society. 8) An ability and willingness and desire to see past himself and his own needs or personal interests or situation and always keep the needs and well being of the people first and foremost in mind and in his actions. 9) A firm belief that leaders should lead by example. This, and some of his other personal characteristics above led him to decide to become only a one term President. And this also so as to set a needed example to the rest of Africa. He also saw the struggle as a long process in which many leaders and many other people needed continually to emerge, develop and become involved. He saw that overthrowing the apartheid regime and replacing it with something much better was only the beginning of an even longer struggle to bring practical justice, fairness, equity and reasonable prosperity to all the people of South Africa. 10) He understood that unity and establishing a humane society and justice and equity in South Africa –itself a multi-stage and ongoing process- were closely tied to establishing unity and humanity elsewhere. Both in the rest of Africa country by country and regionally but also on other continents and in other situations. He remained a strong advocate of human rights, justice, truth and fairness and equality everywhere, and not only in “his own” country. Hence he had a true cosmopolitan identity and world vision. Unquestionable integrity, courage, selflessness, putting the people first, leading by example, having a big-picture vision and flexible strategies, always being pragmatic, recognizing one’s own mistakes and rectifying them, listening to others, working with one’s enemies, and an unremitting commitment to truth, justice and human rights everywhere, rising above petty or even major divisions and interests, staying the course no matter what, never giving up, being unpretentious and being able to relate to people of all ages and origins and identities. A “tall order”? Yes, but Mandela was a very tall man- who also became taller and taller as he progressed through his own life and the history of his country. The above is at least the way I personally have “understood” Mandela and what he has represented and done. I am by no means an expert on his life or on South Africa. Only one observer and one deep admirer among millions or perhaps billions -though also without exalting him which I am certain he would not have wished for me, or anyone else, to do-. THANK YOU MR. MANDELA for what you have done for South Africa, for what you have done for Africa, for what you have done for The World, and for what you have taught me personally through your life and example. If I have somehow managed to understand and learn only 10% of what you have shown me and the world I surely would have become a better man. Your example continues to shine the light for me in the right directions. 1) "A critical, independent and investigative press is the lifeblood of any democracy. The press must be free from state interference. It must have the economic strength to stand up to the blandishments of government officials. It must have sufficient independence from vested interests to be bold and inquiring without fear or favor. It must enjoy the protection of the constitution, so that it can protect our rights as citizens." 2) "If there is a country that has committed unspeakable atrocities in the world, it is the United States of America. They don't care for human beings." 4) "Gandhi rejects the Adam Smith notion of human nature as motivated by self-interest and brute needs and returns us to our spiritual dimension with its impulses for nonviolence, justice and equality. He exposes the fallacy of the claim that everyone can be rich and successful provided they work hard. He points to the millions who work themselves to the bone and still remain hungry." 5) "There is no doubt that the United States now feels that they are the only superpower in the world and they can do what they like." 10) "If the United States of America or Britain is having elections, they don't ask for observers from Africa or from Asia. But when we have elections, they want observers." 12) On Gandhi: "From his understanding of wealth and poverty came his understanding of labor and capital, which led him to the solution of trusteeship based on the belief that there is no private ownership of capital; it is given in trust for redistribution and equalization. Similarly, while recognizing differential aptitudes and talents, he holds that these are gifts from God to be used for the collective good." And for those who are interested in reading additional recent coverage and views and opinions about Mandela's life and legacy, you also can read the following three articles here, here and here and view the two You Tube videos here and here . And the more complete feature film –which was recently completed and is soon to be released- about Mandela’s life based on Mandela’s own autobiography –is also well worth seeing. 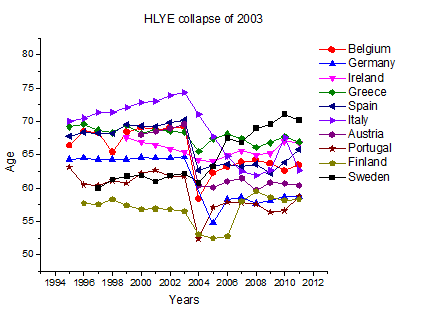 Eurostat data for healthy life years expectancy (HLYE) in some European countries, as reported in a paper uploaded on arXiv in 2013 by Ugo Bardi and Virginia Pierini. Measuring "health" carries large uncertainties, but these data hardly conform to the common perception of an increasingly better health condition in Europe. We all know that we are living longer lives, at least in rich countries. But are we also living healthier lives? This is not so evident. On the contrary, sometimes, it seems that the elderly are paying dearly for their extra years of life in terms of all sorts of chronic illnesses and handicaps. However, this is just a qualitative perception that should be supported by data if we have to consider it as worth of attention. Unfortunately, the concept of "health" is rather difficult to define and measure; nevertheless there exist data reporting a parameter called "Healthy Life Expectancy" or "Healthy Life Years Expectancy" (HLYE) that measure the expected number of "disability free" years of one's life. The analysis of these data is the subject of a paper that myself and my coworker Virginia Pierini recently uploaded on ArXiv. We found that according to the EUROSTAT data, several European countries (and Italy in particular) experienced a decline in the healthy life expectancy starting with 2003. About these results, a disclaimer is in order. The only way to determine HLYE is to ask people how do they feel about their health. Their answer depends on their perception and also on the way the question is posed. So, what these data are measuring might be a decline in the way people perceive their health, rather than their actual health. And there is the further complication that in 2004 some elements changed in the way the measurement was performed. Indeed, in a comment to an earlier paper by Gennaro et al, Piergentili suggests that the observed change in HLYE is an artifact of the measurement. But we can't rule out that some actual external change had modified people's health, or the perception of their own health. In the paper, we tentatively explored the possibility that this change could be related to the heat wave that hit Europe in 2003 - a phenomenon that, indeed, had a detectable effect on the data on standard life expectancy. We are the first to say that the data we report are affected by a high uncertainty. But we also thought that these data were worth reporting, if nothing else as a question mark directed at the scientific community for comments. We are facing here a fundamental point: "health" is often considered as equivalent to life expectancy but it should be seen more correctly in terms of healthy life expectancy; also in relation to the changes that we are causing to our environment. Hopefully, this modest effort of ours could be a stimulus to study more this subject.